Chateau de Versailles also called the Palace of Versailles is one of the grandest palaces in France built during the Renaissance by Louis XIV. 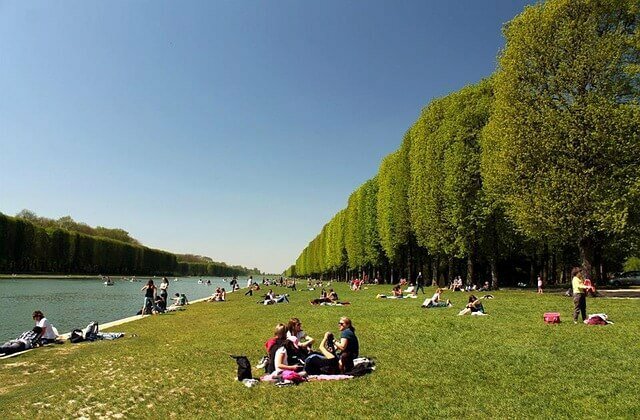 Read this detailed guide from Talk Travel App for travel tips and enjoy Versailles like a local. UNESCO designated the Palace of Versailles and its Garden as a World Heritage site in 1979. This opulent estate welcomes more than 7 million visitors every year. Versailles makes for a perfect one-day travel destination when you are visiting Paris. Where is the Chateau de Versailles located? It is located in the city of Versailles, Yvelines département, Île-de-France région, northern France, 10 miles (16 km) west-southwest of Paris. How is the weather like at Versailles? Visiting Versailles is mostly an outdoor activity except of course when you are inside the Royal Palace. The charm of this Chateau lies in its gardens. As a result, you will have to be outdoors for a few hours. Please check the weather condition before you head to Versailles. You can always carry an umbrella or a raincoat just in case. When is the best time to visit the Chateau de Versailles? Versailles has visitors all year round and the Chateau de Versailles is open throughout the year except on all Mondays of the year. Likewise, on the 25th of December, 1st of January and 1st of May. Peak months to travel are spring and summer between March to August. Please note that the summer months between June and August are the busiest with a lot of visitors. The heat can be quite unbearable, so during summers come early at 8 am and explore the garden. During mid-day, you can explore the interiors of the Palace to escape the heat. The months from November to February witnesses the least number of crowds which is advantageous. Note that the temperatures are very cold this time of the year, so keep yourself warm as the wind in the open expanse of the Garden can give you the chills. When is the best day to visit the Chateau de Versailles? The first Sunday of every month from November to March has free admission to the Palace which means it can get crowded. Try coming early at 8 am to enter the premises soon to have a great time. Chateau de Versailles is closed on Mondays but the brilliantly manicured Garden is open every day of the year. If you are short on budget, then you can visit Versailles on Monday. You can marvel at the grandeur of the Palace from the outside and walk in the expansive and well-maintained Garden for free. Furthermore, the best day to visit the Palace of Versailles is during the week as it has thinner crowds, especially on Wednesday and Thursday. How to go to Chateau de Versailles? Versailles is just 20 km from Paris and very well connected by public transportation like bus and train. All prices mentioned in the above table are valid as of June 2018. Travel Tip: Please carry cash when you want to buy tickets at the bus or train stations as international credit cards might not work. Carry light change or coins as train/bus journey costs only €6. From the Eiffel Tower metro station as a reference point to begin your journey from Paris to Versailles, you can take the RER train C. Read this detailed guide to understand how to reach Versailles by train. The destination terminus station is called Versailles-Rive Gauche platform. A one-way journey costs € 3.65. Follow the overhead and wall signs to reach the platform where the RER C stops. Get off at Versailles-Rive Gauche platform and then Chateau de Versailles is just 5 minutes by foot. If you are residing in the southwestern part of Paris, then you can head to Montparnasse station to take the SNCF train to Versailles-Chantiers station. It costs € 6 for a to and fro journey and it will take less than 30 minutes to reach. Once you alight from the train at Versailles-Chantiers station, you have to walk for 15 minutes to reach the Palace of Versailles. You will find more information about train journeys here. You can book your train ticket directly on the SNCF website. You have the choice of taking a cab like Uber or a regular taxi. Uber will cost you € 30 – 40 one-way whereas a regular taxi will cost you up to € 50 for a one-way ride. You can take bus number 171 from the metro stop Pont de Sèvres, on line 9. Get off at the bus stop Versailles-Place d’Armes. A to and fro ticket will cost you around €10. The Versailles Express is an exclusive bus service between Paris and Versailles. They offer packages at varying prices and timings. Have a look at their offerings and book a service that is convenient for you. If you are the adventurous type and would like to reach Versailles on a Vespa, then go for it! You will be riding along the Seine River, pass through typical French villages and some amazing landscape. Find out more details on the website of Paris by Scooter. 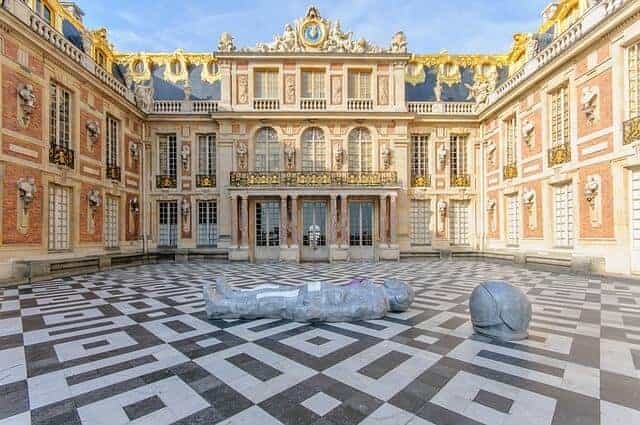 Is Château de Versailles disable friendly? The Chateau de Versailles is on a flat surface and easily accessible by wheelchair. All the restrooms are disabled friendly except in the Gabriel Pavilion and picnic areas. Rest are all accessible for disabled persons unless indicated otherwise. Above all wheelchairs are available in the Palace of Versailles and the Grand Trianon. People who use walking sticks or crutches can leave them at the Left Luggage desk and borrow a wheelchair to visit the site in greater comfort. Consequently, there are lifts leading to the different floors of the Palace, allowing access to the whole State Apartments. You need to retrieve your personal belongings before you visit the gardens because once you have left you cannot re-enter. To retrieve your luggage you must go through security and ticket check once again. 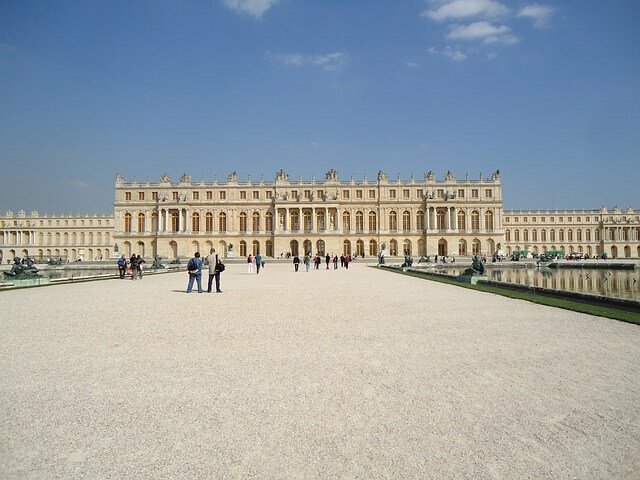 Read this travel blog by Sage Traveling who have detailed their experience at the Palace of Versailles on a wheelchair. There are a lot of benefits that can be availed upon showing a valid government approved disability card while purchasing tickets. Book 3 months in advance Free In the Palace you can visit the King’s Apartments, the Queen’s Apartments, Hall of Mirrors, Coach gallery, and exhibitions. Refer this calendar to see which guided tour is planned for which day before booking your tickets. Booking slots according to the calendar can be confusing sometimes, so mail them for any queries. – Reservations open 3 months before the desired date of visit, the first business day of the month, at 8:30. Example: for a visit in January 2018, the opening of reservations on October 1, 2018, at 8:30. Requests are processed in order of arrival. You can explore the Palace of Versailles in small electric vehicles, find out more about the price range here. Pushchairs and baby carriers with a metal frame are not allowed in the Palace and should be left at the cloakroom. It is advisable to bring a sling or baby carrier without a metal frame. First of all buy the tickets online and do not waste time standing in the queue. Furthermore, there are many visitors during the summer. The queue can extend beyond the gates of the Palace and the heat is unbearable. This list explains who can avail free admission to the Palace of Versailles on presentation of proof. Here is a comprehensive list of activities that are grouped and priced accordingly to suit varying needs of visitors. You can choose the best-suited ticket based on your interests and budget. You can buy your tickets online here. Where to access Chateau de Versailles? The main entrance to the Palace of Versailles is through the Main Courtyard past the majestic golden gates. If you do not have a ticket upon arrival and are not eligible for free admission, go to the ticket office first, situated on the left in the Main Courtyard, and then to entrance A of the Palace. To visit only the Estate of Trianon, which is open from 12.00 pm, go directly to the entrances of the Grand or the Petit Trianon where you will find a ticket office. There are many cafes and pastry shops within the Chateau that will help you rest and munch on some great food. Try the hot chocolate made traditionally like in the 17th and 18th century at the Angelina Shop. There are amazing pastries and famous French macarons to try at Ladurée, a Parisian party shop. You can enjoy a full course meal at any of the restaurants in the Chateau de Versailles like La Flottille Takeaway, La Petite Venise, Restaurant Angelina, and more. Eat at the restaurant or pack a sandwich to eat on the lawn beside the Grand Canal. You can certainly enjoy great views of the Garden and the Palace from here. You can stay connected online with free WiFi that is provided at the Palace of Versailles. You can connect to WiFi at the entrances of the following locations: the Palace; gardens at the South Parterre; Petit Trianon; Grand Trianon and Gallery of Coaches. If you love walking, enjoying a stroll in the beautiful Gardens to explore the Palace, the Grand Canal, and the Trianons is great fun. You have the choice to cycle to these popular places within the Chateau by renting a bike or you can take a ride on the Little Train, row a boat in the Grand Canal or hire a small electric vehicle if you are in a small group. Find out all the options here. The famed Chateau de Versailles candles are an exclusive range of unique scented candles launched by The Palace of Versailles. There are many fragrances inspired by the scent from various quarters of the Palace. Buy them at the Souvenir shop at the premises of the Palace. You can have a look at the collection here. Similarly, you can buy other Versailles goodies in any of the souvenir shops within the Palace complex like The Gardens Shop, Estate Shops and at The King’s Medal Cabinet. Finally, where to stay near Chateau de Versailles? Versailles is a year-round tourist destination, as a result, there are a number of hotels nearby to stay at. Hotel de Clangy, Hôtel du Cheval Rouge, Les Versailles B&B, Palace Quartier St Louis, Novotel Château de Versailles are few hotels with good ratings on Booking.com. The prices range between 6000 – 10000 INR per night (90 – 150 USD). If you buy the Passport entry ticket to visit the Versailles, there are some discounts that can be availed to stay at a select few hotels. Please find out more on the Chateau de Versailles website here. 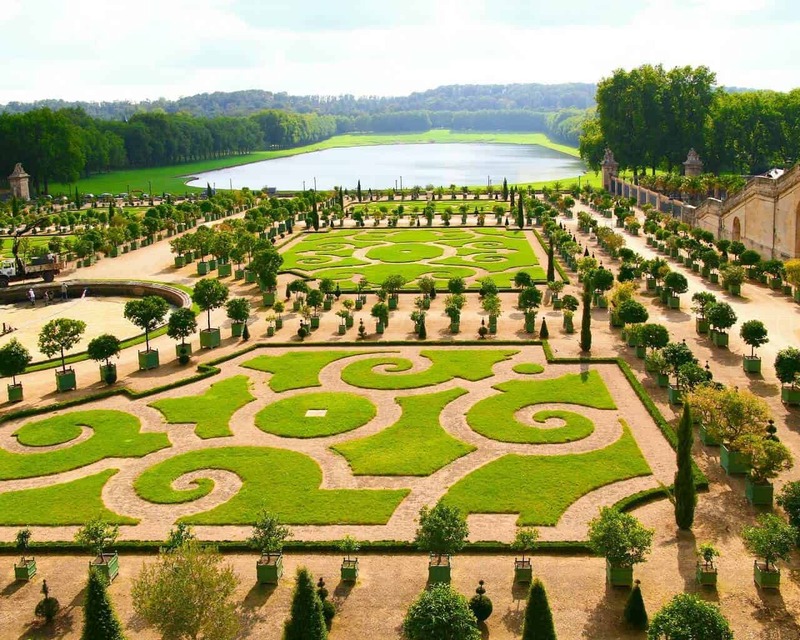 This brings us to the end of this detailed guide to explore the Chateau de Versailles. We hope that you enjoyed reading our detailed guide to visiting the Chateau of Versailles. We have shared all the relevant information needed to visit this grand monument. Are you traveling around France? You might want to look at the other guides and posts we have written for France, to make your travel more easy and enjoyable. *We do not promote any brands or businesses on our platform. We only suggest experiences which are popular keeping in mind the best intentions of our travelers.